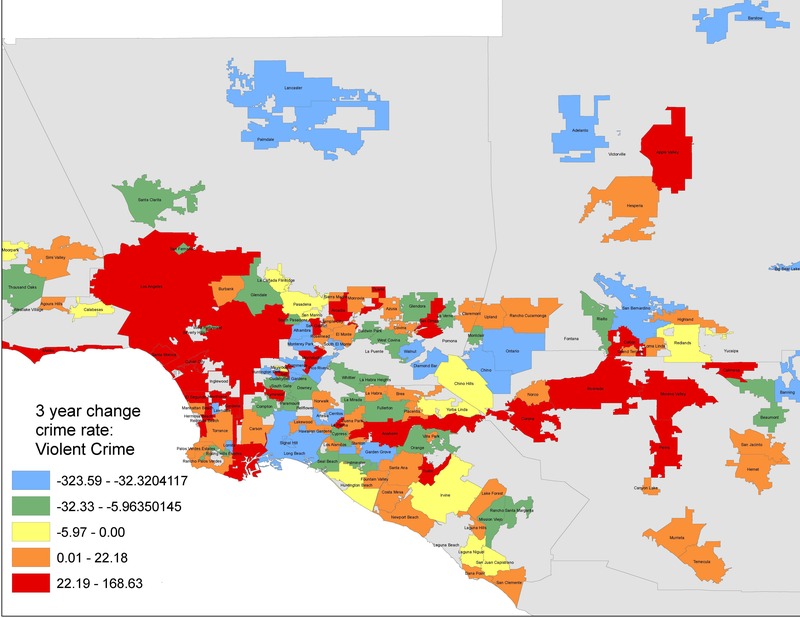 ILSSC researchers forecast a general decrease in both violent and property crime in the Southern California region in 2018. 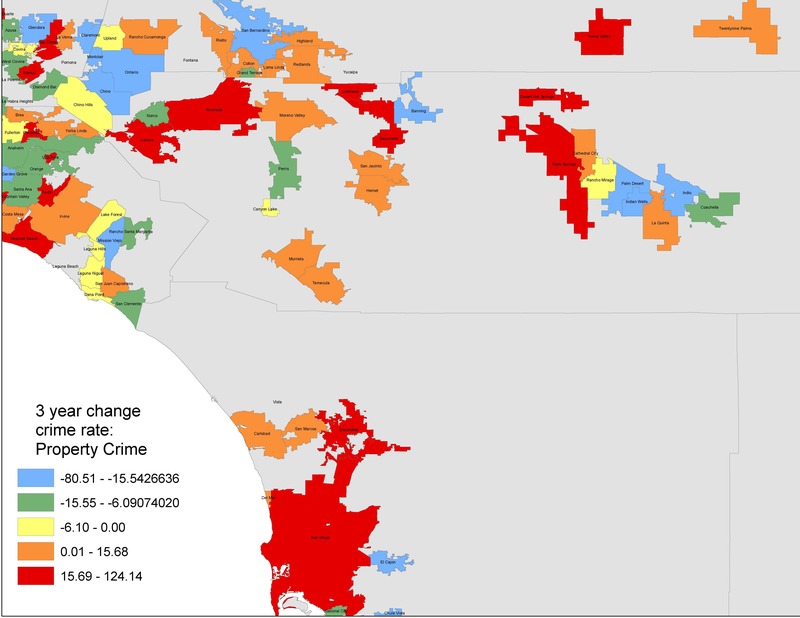 Using a forecast model based on 15 years of data, they project an average decrease in violent crime of 17% and property crime of 6% across cities in 2018. 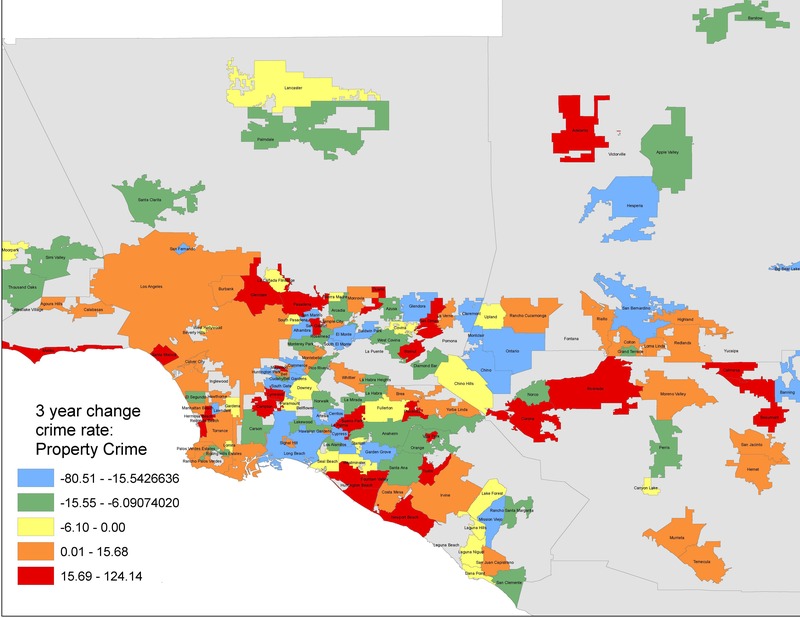 Their forecast model projects violent crime will decrease in 87% of cities in the region and property crime will decrease in 71% of cities in the region. 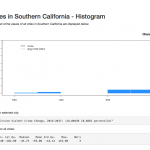 Professor John Hipp notes that “although we are quite confident in the general results of our forecast model, we caution that there can be variations due to idiosyncratic factors within any given city.” Nonetheless, “this forecasted decrease simply continues a long trend that has been occurring in the U.S. and the region over the last 25 years,” observed Professor Charis Kubrin. 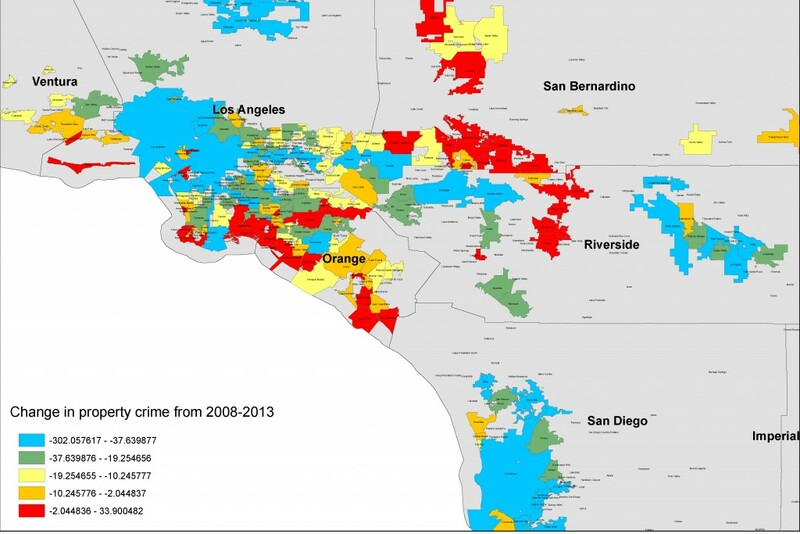 The just released Southern California Regional Crime Report also provides information on how crime has changed over the last 10 years in cities across the Southern California region. 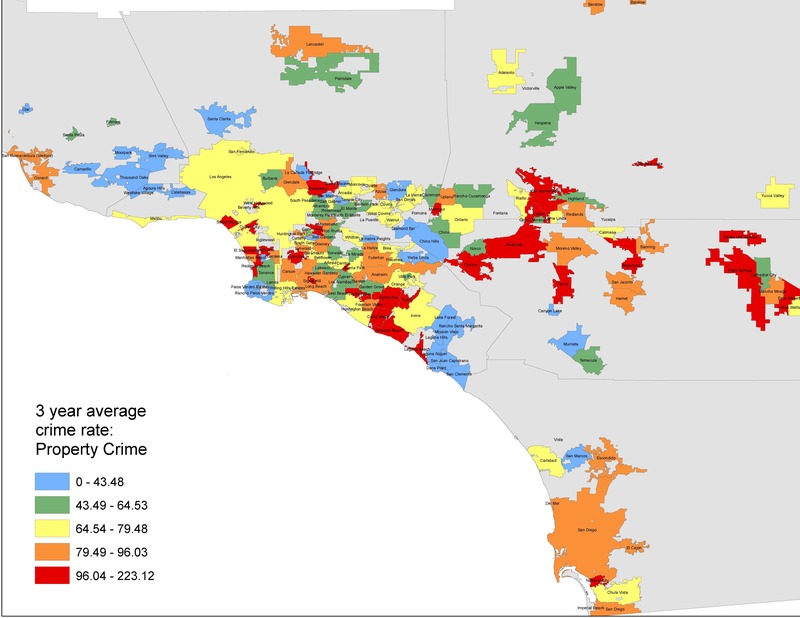 Click link to download: Crime Report for Southern California 2018 by ILSSC. 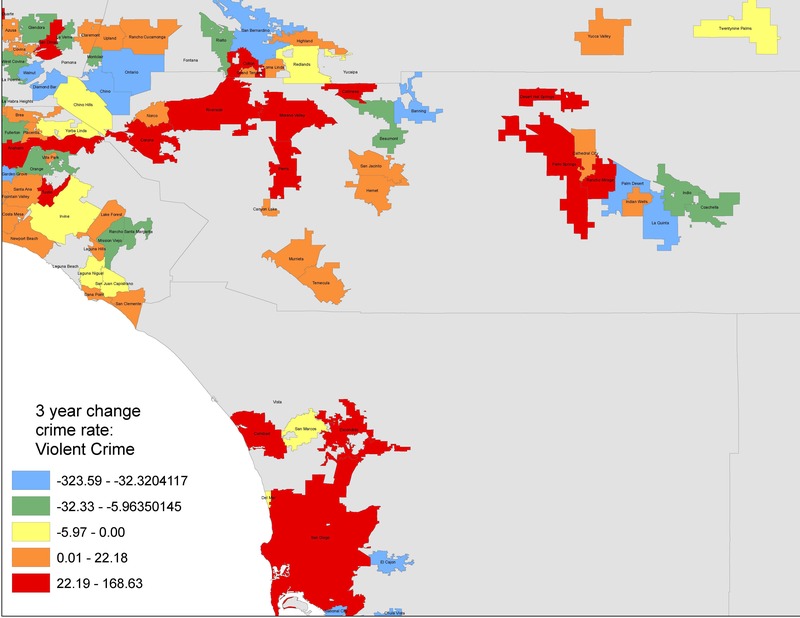 The 2018 Predicted Crime Rates Application is based on Chapter 4 of the 2018 Southern California Crime Report. 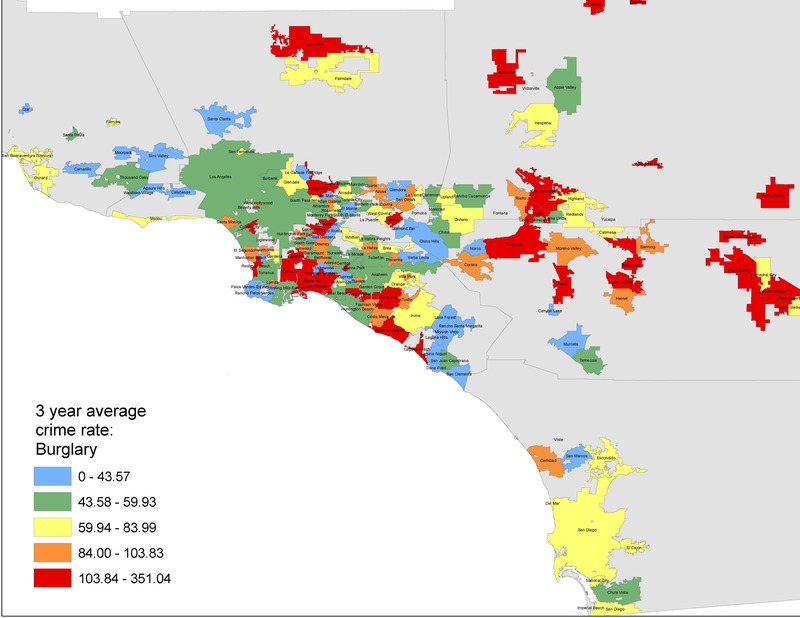 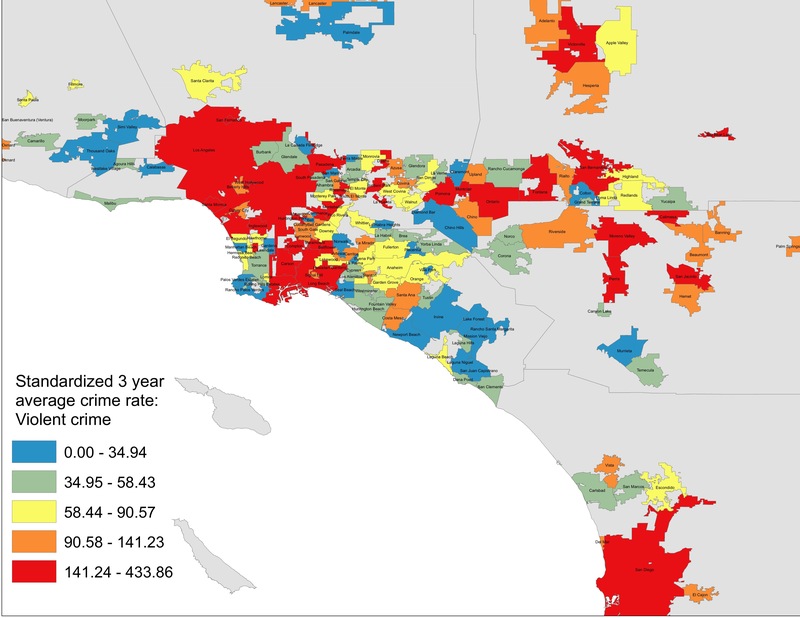 In the report ILSSC researchers make a forecast of the expected violent and property crime rate for the cities in Southern California. 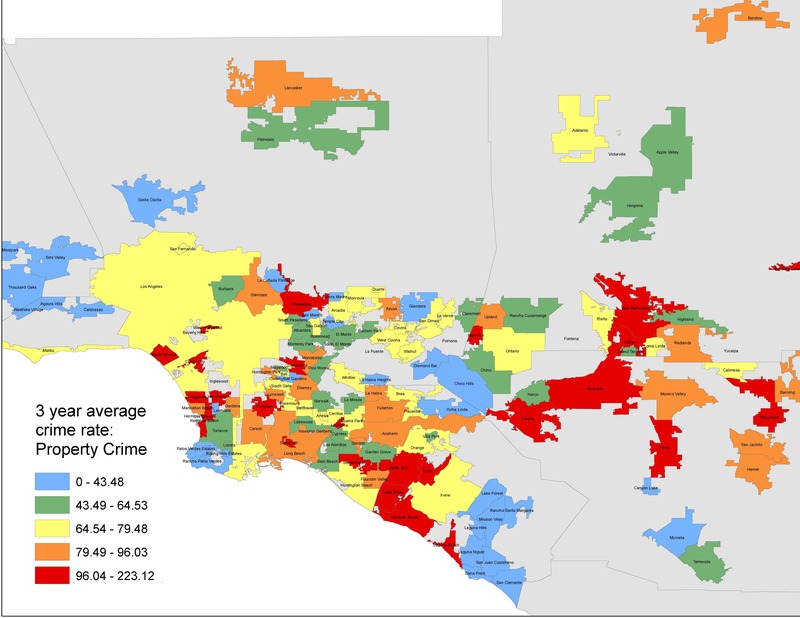 Click link to download: Crime Report for Southern California 2017 by ILSSC. 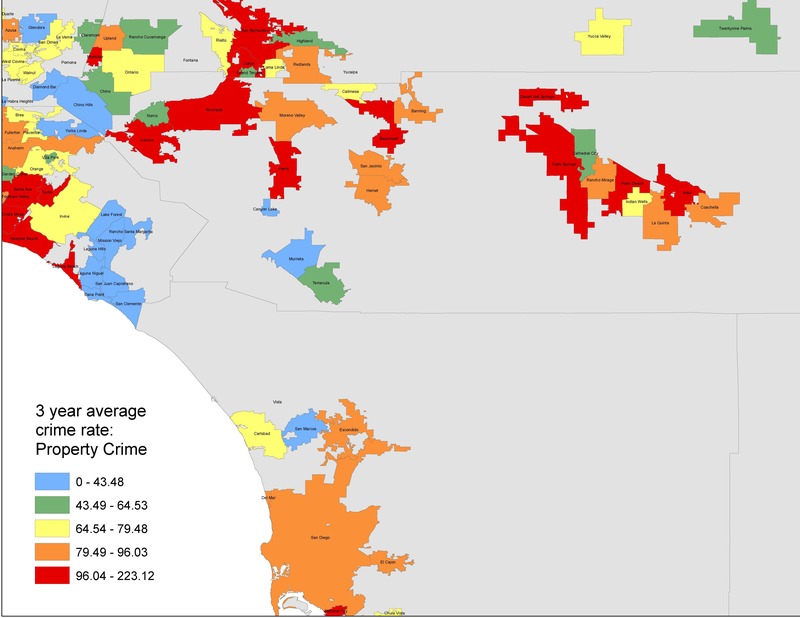 Click link for webapp: Predicted Crime Rates by ILSSC. 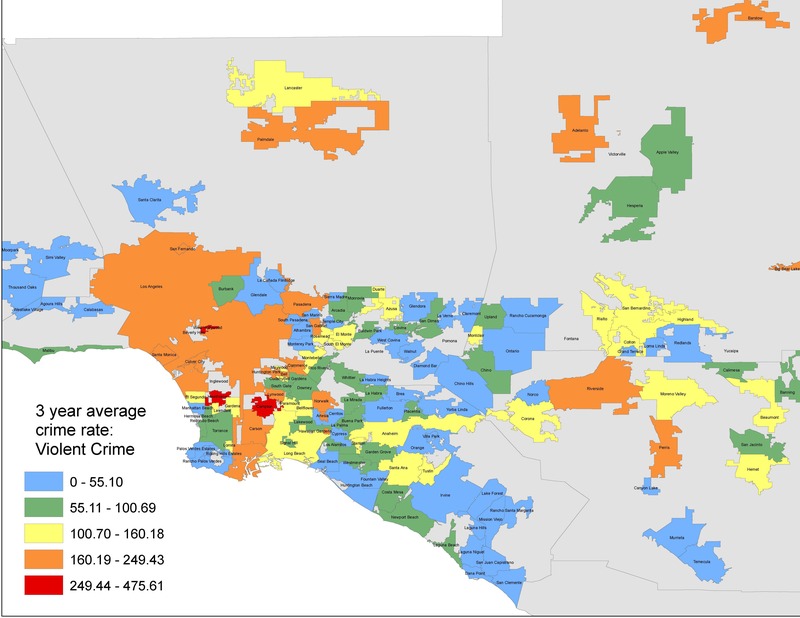 Click link to download: Southern California Crime Report 2016 by ILSSC. 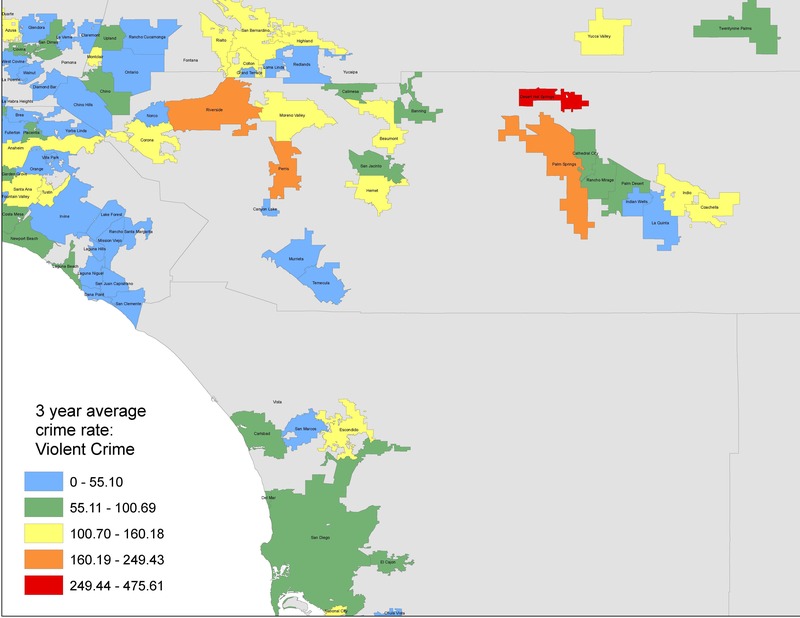 Click link to download: Southern California Crime Report 2015 by ILSSC.